Sheridan Historical Society, Inc. - Biography - Webb, Bob G.
Bob Gene Webb, the younger of two sons, was born October 2, 1921, to Willard and Ida (Besk) Webb in Madison, Nebraska. He graduated in 1939 from Madison High School where he excelled in athletics. Following graduation, he attended Wayne State Teachers College, Wayne, Nebraska, working on his B.A. in order to pursue a teaching/coaching degree. His studies were interrupted, however, by World War II. He enlisted in the U.S. Navy in April, 1942, and served his country as a Gunner's Mate second class on a PT boat in the South Pacific. He was honorably discharged December, 1945. Bob married his college sweetheart, Rachel C. Johnson, of Wausa, Nebraska, June 12, 1944 in Warwick, Rhode Island, before he shipped out for active duty overseas. Upon his discharge, he returned to Wayne to complete the required hours for his degree. He graduated in 1946, and with his family, which now included a brand new daughter, Kathy, he accepted a coaching/teaching position at Plainview, Nebraska. In the three years he and Rachel lived there, their second child, Tom, was born. He was on the staff at Ravenna, Nebraska, another three years; then on to Albion, Nebraska, for another three year sojourn. The youngest son, Jim, was born in Albion. In 1954 the family moved to Colorado and the Sheridan area. Bob became a college student again, entering Colorado State College, Greeley, to obtain his M.A. Goal accomplished, he began teaching at Sheridan High School in the fall of 1956. Bob started their first Industrial Arts Program. He was the track/cross country coach for many years, and assisted in the other sports. One of his coaching highlights was winning the State Cross Country Championship in the fall of 1962. 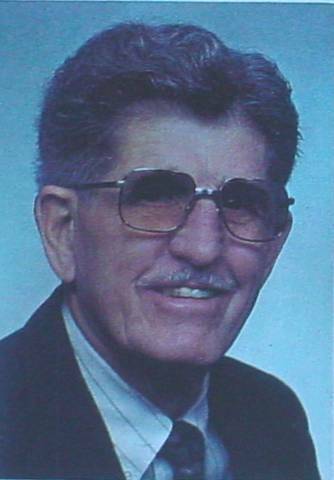 As a teacher, he was the president of the Sheridan Educators for several years. During this time, he was instrumental in setting up the District Sick Leave Bank and the Blood Bank. During the latter part of his 25 years at Sheridan, he became the Vocational Director for the District as part of the Arapahoe County Area Vocational School. Bob was a member of Good Shepherd Lutheran Church; a member of the National and Colorado Education Associations until his death; a fifty year member of the Masonic Lotus Lodge #289, Ravenna, Nebraska; and a life member of the Verle Huffman VFW Post 9644, Fort Logan. His survivors are his Rachel, wife of 59 years; his three children: Kathryn (Dennis) Hoffman, Thomas (Julie) Webb, and James (Kathleen) Webb; six grandchildren: Phillip, Rebecca, Robert, Cassandra, Dylan, and Hope; great-grandchildren: Camille, Ashlyn, and Ty. Preceding him in death were his parents and his brother, Fay E. Webb.